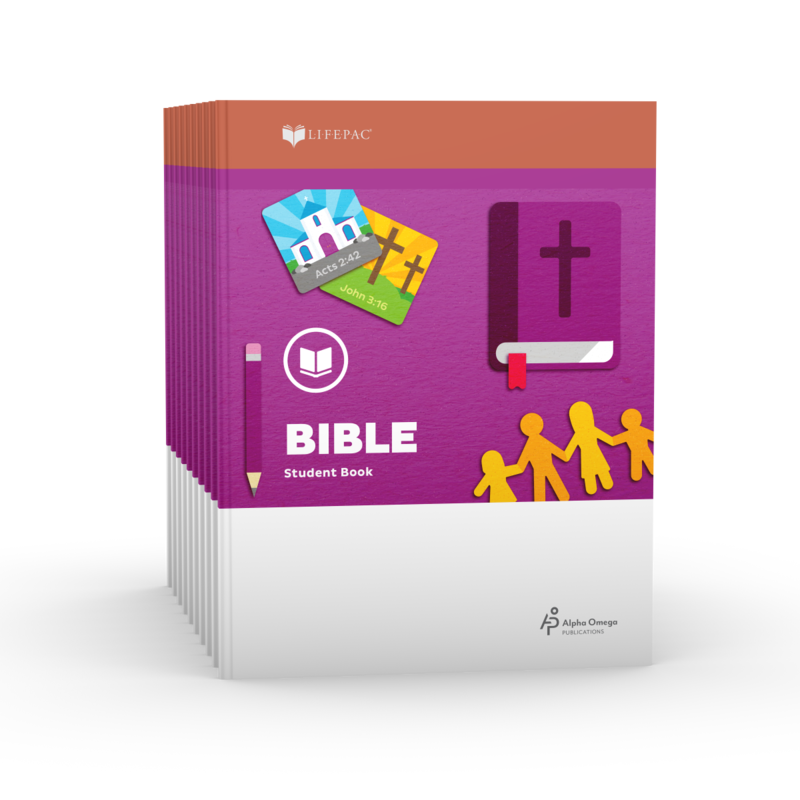 Are you ready to teach your first grader about the Bible with the best-selling LIFEPAC curriculum? But do you want to get the worktexts without the teacher's guide? Not a problem. Alpha Omega Publications has the solution you want—the LIFEPAC 1st Grade Bible 10-Unit Set! This set contains ten colorful worktexts made especially for your young learner—and includes a comprehensive overview of beginning Christian principles and classic Bible stories. Each Scripture-based first grade Bible worktext offers step-by-step lessons, captivating illustrations, and fun word association exercises. Topics include God's Creation, Love, Goodness, Prayer, Old and New Testament stories, Missionaries, God's Promises, and more! That's not all either. The LIFEPAC 1st Grade Bible 10-Unit Set has bright, easy-to-follow lessons that include fill-in-the-blank questions, matching exercises, dot-to-dot pictures, and a lot more. And here's another plus—unlike overwhelming textbooks, each small worktext will motivate your child to complete consumable Bible lessons with its reduced size. And this slim homeschool worktext can be completed in as little as three to four weeks—imagine how excited he'll feel! Ready for the best part? Each LIFEPAC worktext includes concept reviews, self tests, and one removable teacher-administered unit test—all used to solidify comprehension and reinforce concepts. So don't wait any longer—you can get a full year's Alpha Omega curriculum in one easy step! Just order the best-selling LIFEPAC1st Grade Bible 10-Unit Set today.